Quality, We worth your confidence. 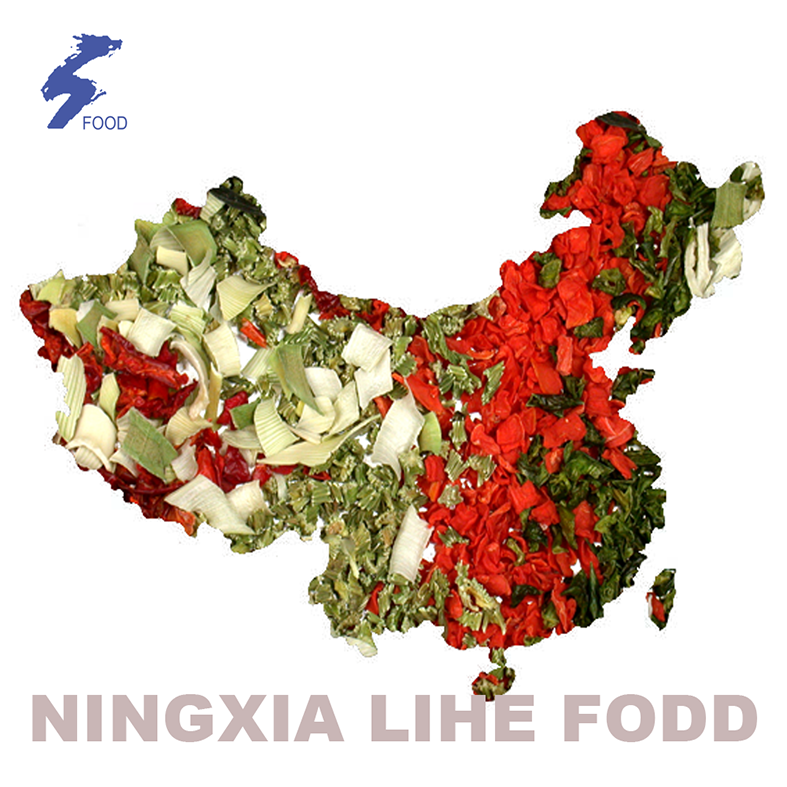 Founded in 1984, Lihe food co., ltd. Has been specializing in processing and sales of air-dried dehydrated vegetables. The company is located in the Yellow River irrigated zone in ningxia, china. The zone is featured with fertile soil and long sunshine hours which are suitable for the growth of the vegetables. More than 1500 ton dehydrated vegetables can be provided annually. 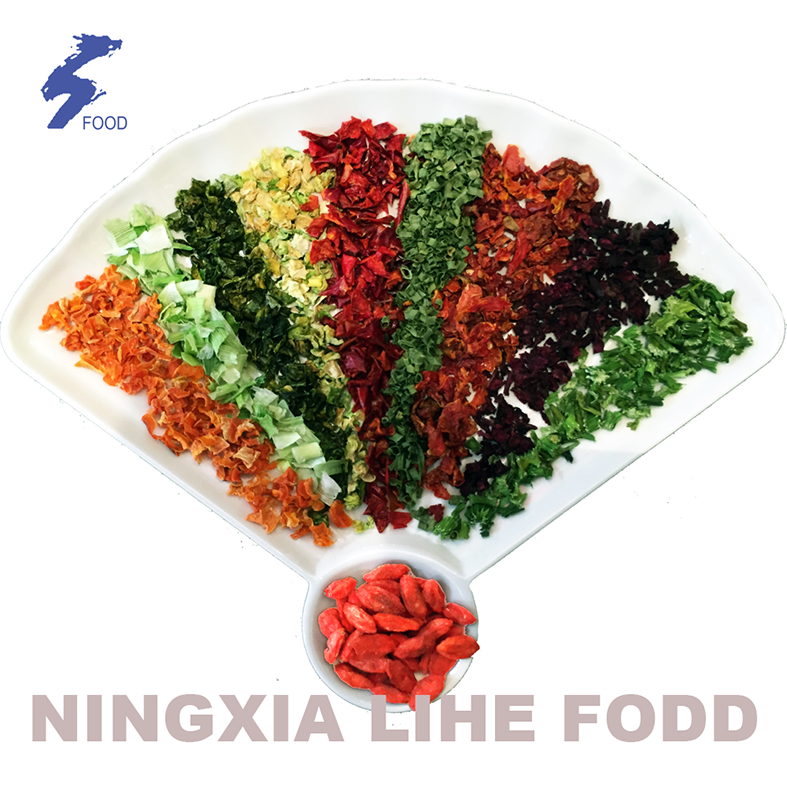 Lihe food can produce a large variety of dehydrated vegetables in forms of grain, slice, bar, segment, powder, pellet and cubes, etc. Products of the company are delivered and sold in Europe , America , Southeast Asia , Australia and South Africa area. Punctual delivery can be made upon customer's requirement. Lihe Food attaches great importance to the quality of its products. 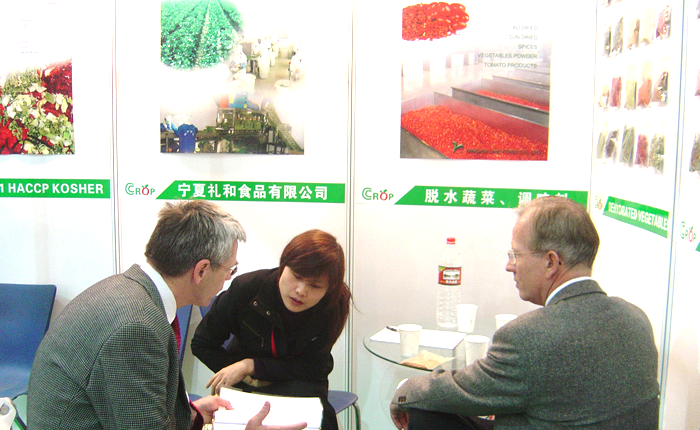 The company has its own raw materials supply bases, which are supervised by agricultural experts. Its seed selection, fertilization and ingathering are based on very strict rules to assure the vegetables from these bases are fresh and free from pollution. Lihe Food is certified with ISO9001 international quality management system. HACCP management system is also adopted in its business process. 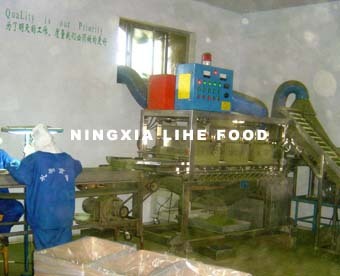 Advanced production line is set up to assure the highest quality of the products to be delivered. 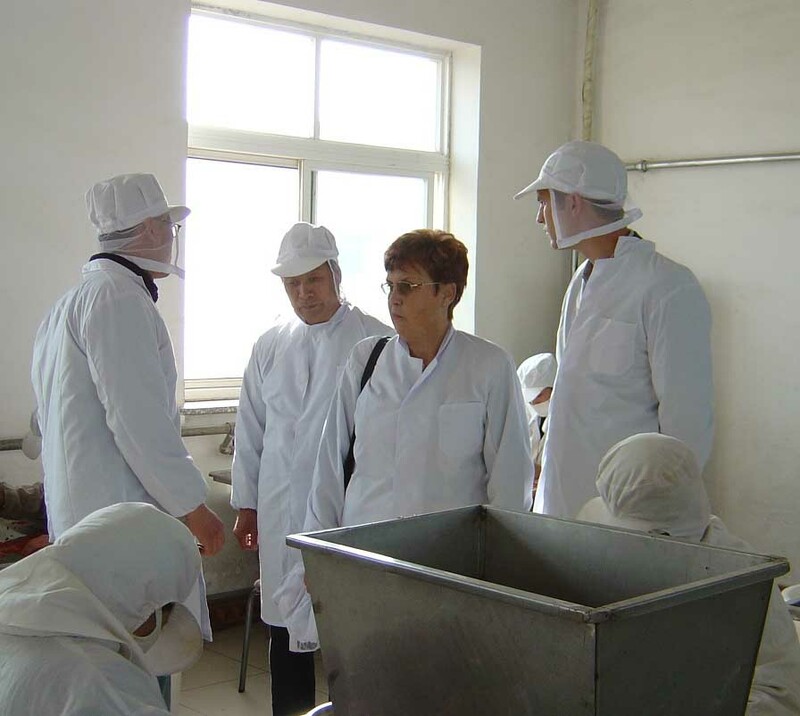 Lihe Food has a strict management system and hundreds of hard-working employees, who have received strict trainings before being permitted to start their work. 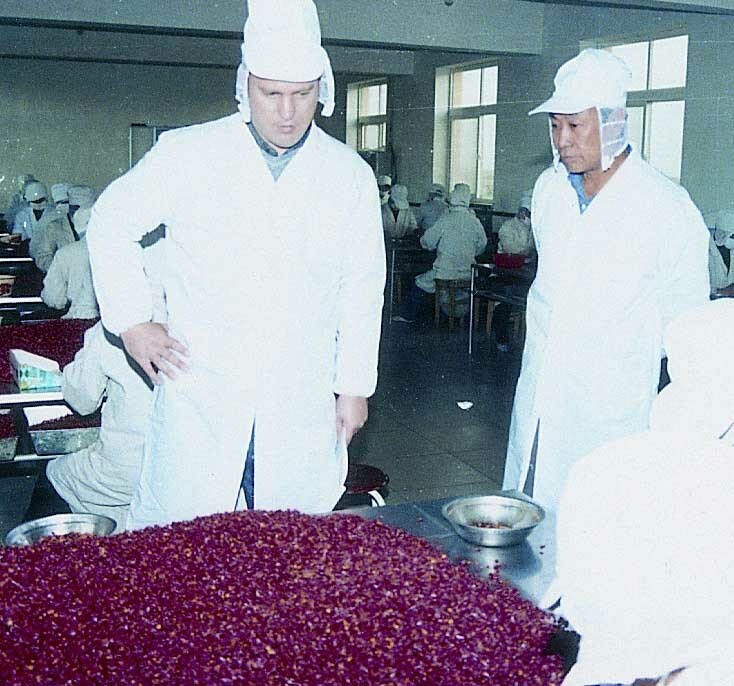 2007,The company founded branch factory in Xinjiang, main product: Toamto, White onion etc. 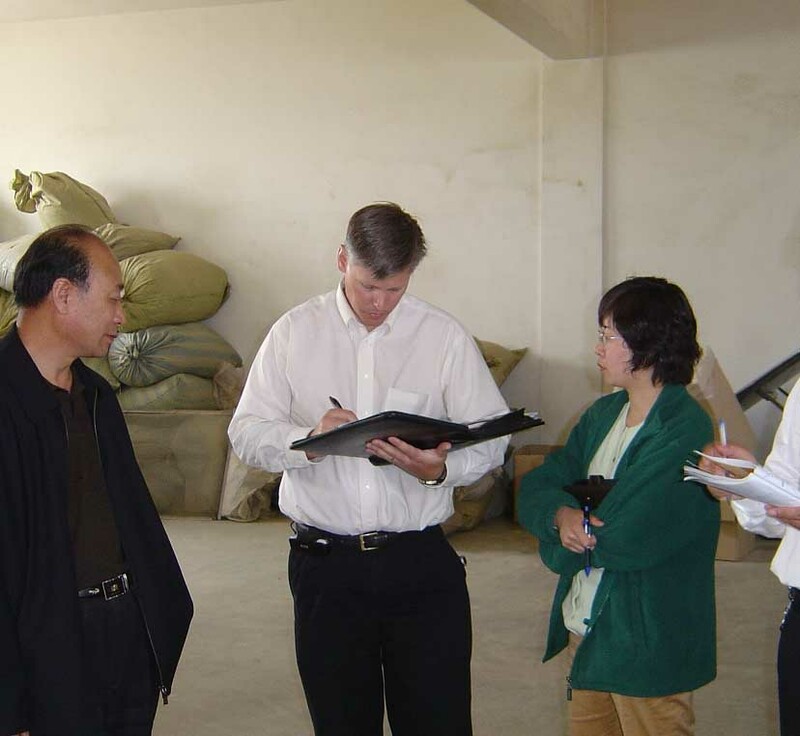 2007, Lihe Food is certified with QS quality system.